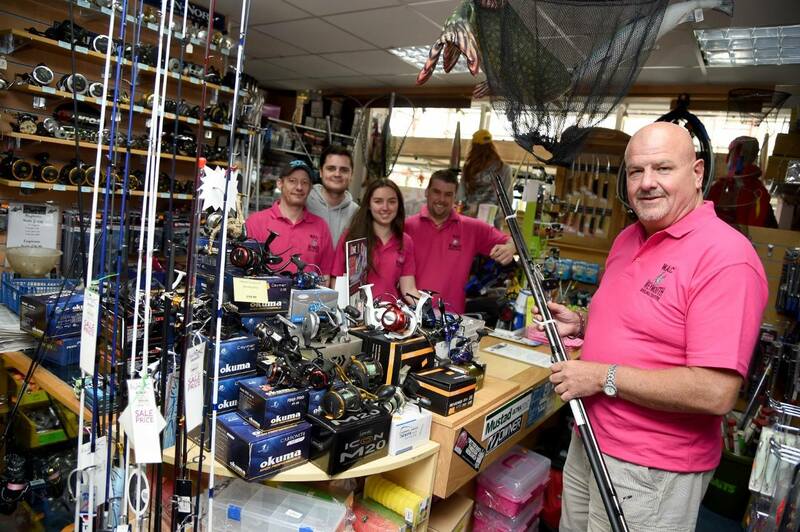 This weekend see’s the 20th anniversary of Weymouth Angling Centre and all the team at Fishing Tails, would like to congratulate them for the great service that they provide 7 days a week. 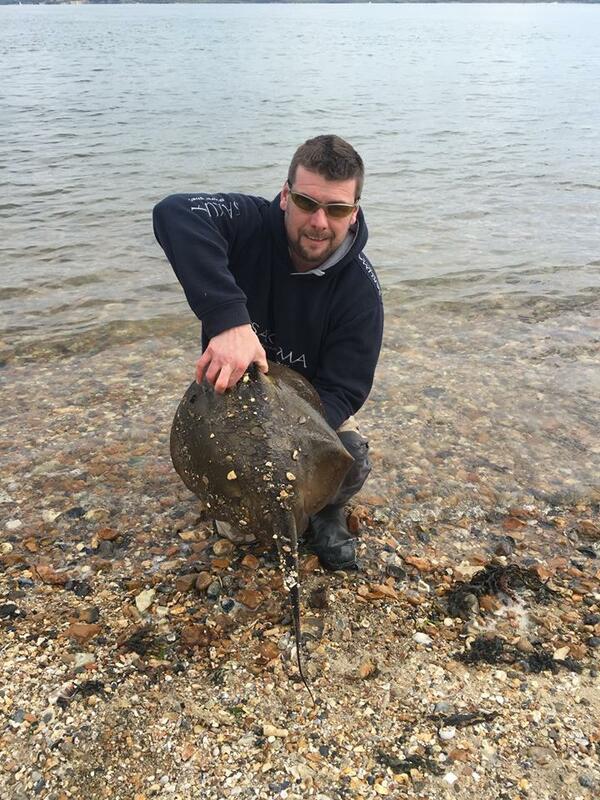 The staff are some of the most knowledgeable in the business and really know what they are talking about when it comes to fishing, as can be seen from staff member, Mark’s headline picture of a Stingray that he caught in the Solent recently . As part of their anniversary celebrations the shop in St Edmonds Street in Weymouth are having a massive give away tomorrow. Every customer that spends £10 will get a free goody bag and the chance to win some great prizes, including a custom built Century rod. Weymouth Angling Centre have a brilliant range of fishing tackle and they are the only shop in the area that stocks the new range of Fladen LRF gear, including the great Rock Buddy shore jigs that I have been having great success with recently. I will certainly be making a trip to see them some time tomorrow, so if you see me in the shop, feel free to stop me and ask for advice. If you check out there Facebook Page you will find Stephen Collet’s latest LRF video featuring the shop. So back to the fishing and whats been happening? It has been a fairly quite week on Chesil, as brisk SW winds for most of the week, have made fishing uncomfortable at best. However many of those the put in the effort have been rewarded, as packs of Smoothound cruised up and down the beach. Once they arrived the fishing was excellent. 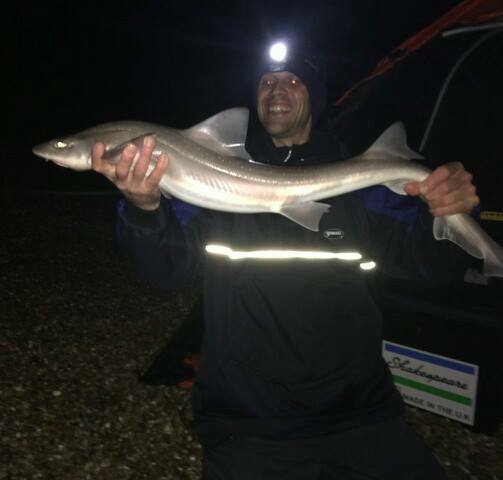 Martyn SPooner and his mate fished Abbotsbury for the first time in 2 years. Despite gusts of 25mph and driving rain, they managed to get through the Spider Crabs and find some lovely Smoothounds. So I know you guys and girls that are reading this on your mobiles at work, probably won’t have the time to watch this video, but once you get home and have a few minute to spare, have a look at our latest video and the first in the Catch and Cook series. In this one we head out on a wrecking trip aboard Flamer from Weymouth. Target species Cod and Pollock. check out just some of the fish we caught and what Gavin did with the Cod to create a delicious meal. Chesil Beach forecast: Get yourself some Peeler Crab and spend some time targeting the Smoothounds. They wont stay around in large packs for long, so it is well worth a trip down. If you have Peelers and head towards Abbotsbury and West Bexington, you have a good chance of a decent Plaice as well. With the water almost clear now, we should see the Mackerel back inshore. However they have not been getting many from the boats, so it may still be a little time before they return. Portland: Brilliant rock fishing on Portland at the moment. Wrasse and Pollock in plenty of numbers. As usual if I get a chance to get out after them this weekend, I will be using soft plastic lures. A lot of people lack the confidence to try lures, and thats fair enough, especially as they are so easy to catch on Ragworm. Float fish or on the bottom, either way you should catch them. My top tip is fish the East side of Portland on the Flood and the West side on the Ebb. Portland Harbour: I have spotted lots of Mullet in the harbour this week. They seem to be Thick Lipped so get out the bread and try floated crust, or set up a small float and use small pieces of bread. It really is a good idea to get some bread mashed up with some water and regularly feed it in as ground bait. 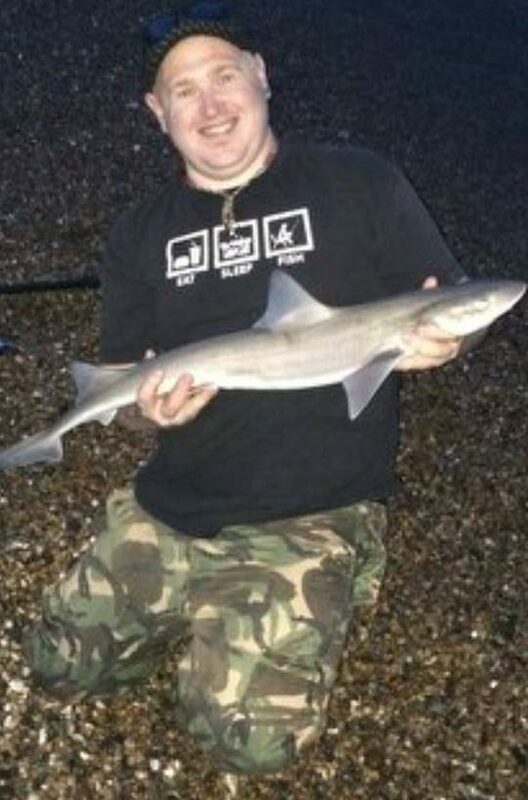 Weymouth Bay:As Usual the piers have continued to fish well. Not so the beach at PReston. It may improve with a chance of Ray at night and Dabs and Flounder during the day. 2 Responses to "Happy 20th Anniversary Weymouth Angling Centre"
I hate to say it Gerry, but you must be doing something wrong. I took my nephew down there for a couple of hours and we managed a dozen small Wrasse, a couple of Pollock, a Pout and some mini species on LRF gear. If you are expecting large Bass and Pollock, then you will be disappointed. What baits and tactics are you using.